Want to know what the Princess of Pranks looks like? 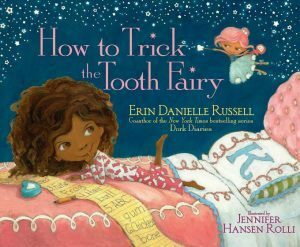 Then you have to read author Erin Danielle Russell’s newest picture book, How to Trick the Tooth Fairy. In the book, an adorable, caramel-skinned little African American beauty named Kaylee takes pranks to a whole ‘nother level when she goes toe-to-toe (make that toe-to-fairy wings) against someone who is as serious about pranks as she is: the tooth fairy! The book opens to a clever diagram explaining how Kaylee, a “prank princess in the making,” has all the equipment a serious prankster needs: comfy shoes for creeping, a twinkle of mischief in her eyes, and a special love for April Fool’s Day. Day and night, Kaylee’s world consists of finding someone to prank. She pranks her baby sister by awakening her to a gruesome and scary mask. She pranks her unsuspecting classmates by hiding on a tree limb and dropping water balloons on their heads as they walk past. She even pranks family members by leaving marbles on the floor for when they head for the presents under the tree on Christmas morning. Kaylee has multiple tricks up her sleeves, but she meets her match when the Tooth Fairy comes for a visit. Kaylee has the perfect gift: she leaves a fake frog under her pillow instead of a tooth, and then…all you-know-what breaks out when the Tooth Fairy retaliates by zapping Kaylee with REAL frogs. The two pranksters try to prank each other into oblivion, pulling pranks that include hot sauce, gummy ice cream, and water hoses. 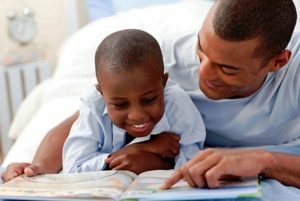 Readers ages 4 to 8 will be on the edge of their seats and won’t be able to close the book until they discover how the story ends. This cute book is a prank book and Tooth Fairy book all rolled into one. 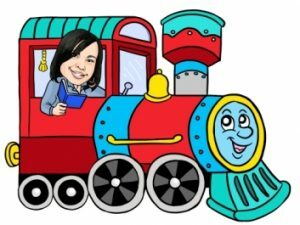 Ms. Russell’s prose is lively and fast-paced, and appropriate for the book’s target audience (ages 4 to 8). Artist Jennifer Hansen Rolli’s illustrations are vibrant, colorful and slapstick funny. HOWEVER, one small quibble must be addressed. Some of Kaylee’s pranks move past “cuteness” and teeter on cruelty. For example, scaring her baby sister awake with a monster mask cannot be labeled the sweetest act in the world. And planting marbles near the Christmas tree when Kaylee knows family members will be rushing toward the presents on Christmas morning promises to land someone on their backside — a big fall that usually spells pain. This quibble aside, this is a cute book with lovely illustrations of an adorable MC that young readers will definitely want to see in more books. Use this book as supplemental reading for legends and traditions, or as independent reading for your emerging little prankster. Previous articleCongratulations Meghan Markle and Prince Harry!